Artists in Architecture: Open Call to submit your modern European houses. 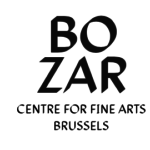 The Centre for Fine Arts in Brussels (BOZAR), the Fundació Mies van der Rohe in Barcelona, and the University of Naples Federico II have taken the initiative to respond to the objectives of the 2018 European Year of Cultural Heritage through a common narrative on houses of important European cultural figures from the 20th century. These houses, often built by the most avant-garde architects of their time and in which some of Europe’s most innovative personalities lived or met, were privileged witnesses of Europe’s intellectual effervescence at several moments in its history. Artists in Architecture is an interdisciplinary project selected for co-funding by the Creative Europe program of the European Union as a cooperation project in the framework of the European Year of Cultural Heritage 2018 (EYCH). The project starts from the insight that temporary use through artist interventions in cultural heritage buildings are an essential method to evaluate a future conservation/restoration approach and define future uses in order to re-activate an essential component of European cultural heritage. Co-funded by the Creative Europe program of the European Union.